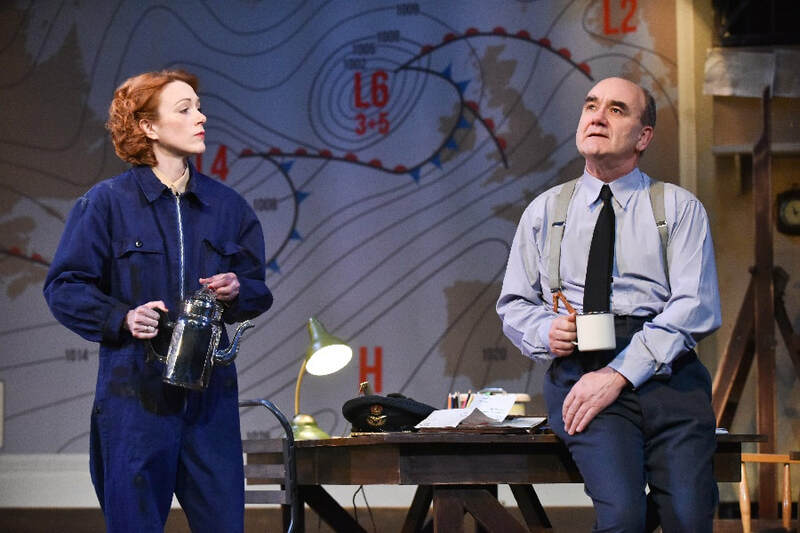 David Haig's play is another transfer from Chichester and is, like many others before it, West End bound. It tells the largely unknown story of Dr James Stagg, one of the unsung heroes of World War 2. As Chief Meteorological Officer for the Allied Forces , it was down to him and fellow American meteorologist Colonel Irving Krick to forecast the weather for D-Day - Monday 5th June 1944 - a job that would determine the fate of thousands of soldiers. If you know the date of D-Day then you will know the outcome of the play, but nonetheless the script keeps you on tenterhooks as you wait to see how events will pan out. The play is neatly written, with conversations like a ping-pong match, capturing the busy and intense environment of the Headquarters. At times, during a conversation, someone would come in bringing a parcel or equipment and they were quickly dealt with before the conversation resumed. As the interruptions came more frequently and were dealt with more impatience, the feeling of mounting pressure was almost tangible. After the troops were sent out and Stagg's work was done the script slowed down and gave us an insight into the characters feelings, although in my opinion it was a bit too slow. 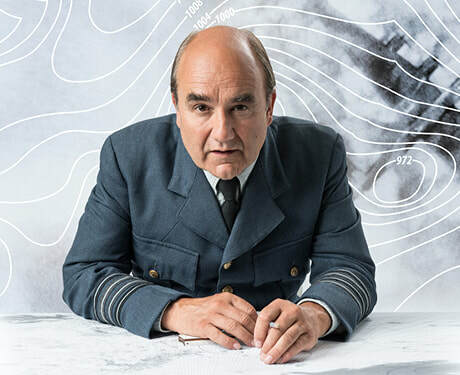 David Haig, who as well as writing the play is in the lead role as James Stagg, gives a brilliant performance. Intently focused on his job, he is by his desk almost throughout the whole play, taking down notes from telephone calls and making calculations. When not there he is studying the most recent weather chart on the wall. Despite not knowing anything about the weather, each time the map came down I was desperate to see if the new one would show whether or not Krick's "finger of high pressure" had moved anywhere, or whereabouts storms L2 and L3 had got to. 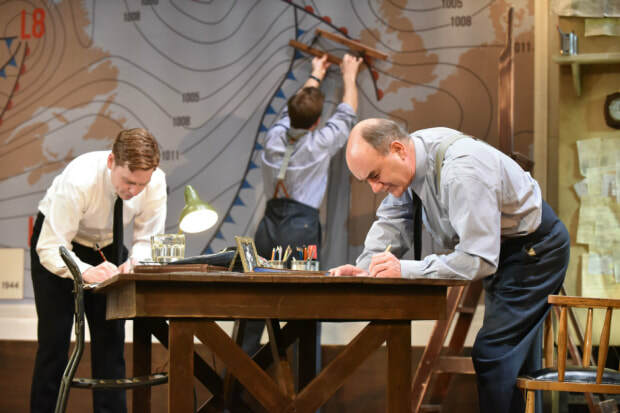 The stage design had been thought about to the last detail, notepads and paper scattered on the desks and weather charts lying about. There was even a clean circle on the dirty wall where the clock used to be hanging. It did seem as though it could have been the real room in which Dr James Stagg forecast the weather for D-Day 74 year ago. This is a really well written, well performed play, showing one of the most important events in World War 2. It is definitely worth seeing, particularly for those with an interest in this period of history. And of course any weather watching enthusiasts!